Madbull Strike Ind. 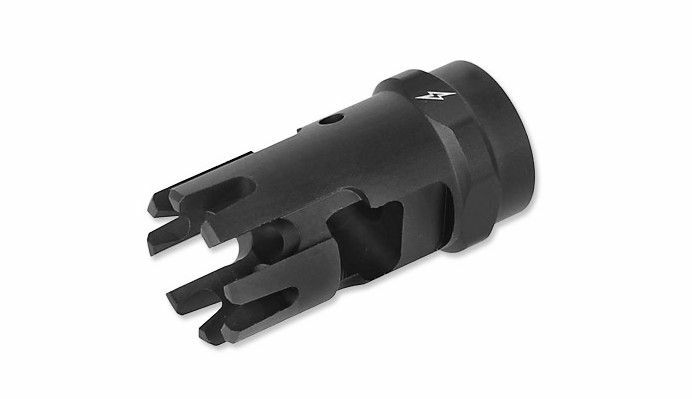 Checkmate Comp Flashhider. Madbull Airsoft is proud to present the Strike Industries’ Checkmate compensator. 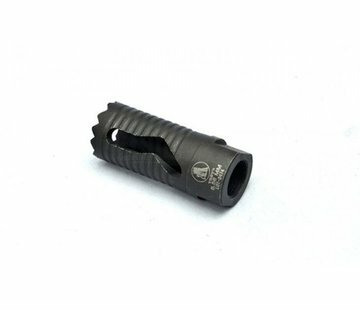 Based on the high quality, muzzle device for real steel firearms, the Checkmate adds more functional appearance and realism to your airsoft gun. On a real steel firearm, the Checkmate is designed with a series of four offset serrated prongs to stabilize the muzzle climb and felt recoil. 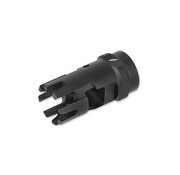 The offset port on the top, benefits right handed shooters to push the muzzle slightly down and to the left.